Ronald L. Schwerman experienced real healing inside and out, after a rocket attack cost him both arms and one leg. 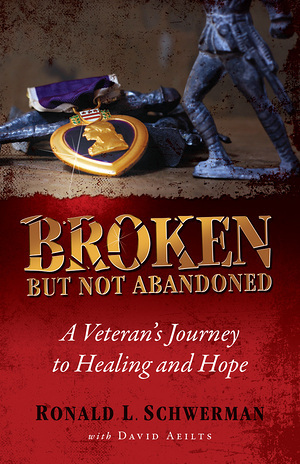 Crippled by more than a violent explosion, this veteran wallowed in self-pity, refusing to work toward self-reliance, and medicating his fears with alcohol. Losing his family proved to be the turning point. Today, Ron has regained his sobriety, his independence, and his ability to trust. Amongst the first to be diagnosed with PTSD, he found liberation from his angry outbursts in a new medication, a new way of thinking, and a wife who wouldn't give up.